Comprenew is a nonprofit organization under section 501(c)(3) of the United States Internal Revenue Code. 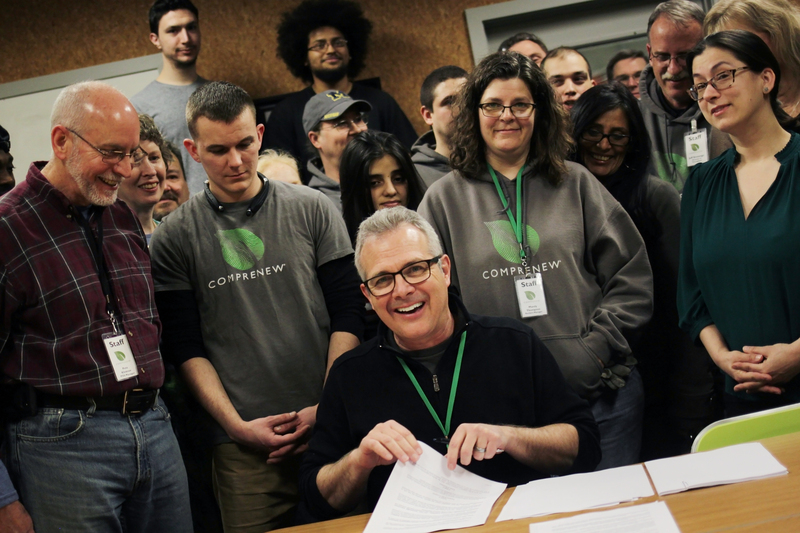 Comprenew began in 1986 as a for-profit refurbisher of mainframe computer equipment serving leasing companies, becoming the foremost refurbisher and repairer of IBM 5080 CADCAM equipment in the 1990s. By 1992, Comprenew was refurbishing and shipping an average of 1,000 terminals per week. When personal computers became available, companies began to purchase rather than lease them. This greatly increased the number of computers entering the waste stream, so Comprenew expanded its recycling activity to help reduce the environmental threat. In 2004, due to its shifting focus from for-profit to social enterprise, Comprenew became a nonprofit organization and expanded its activities to include programs through which we serve approximately 80 people per day, largely from at-risk and marginalized populations. 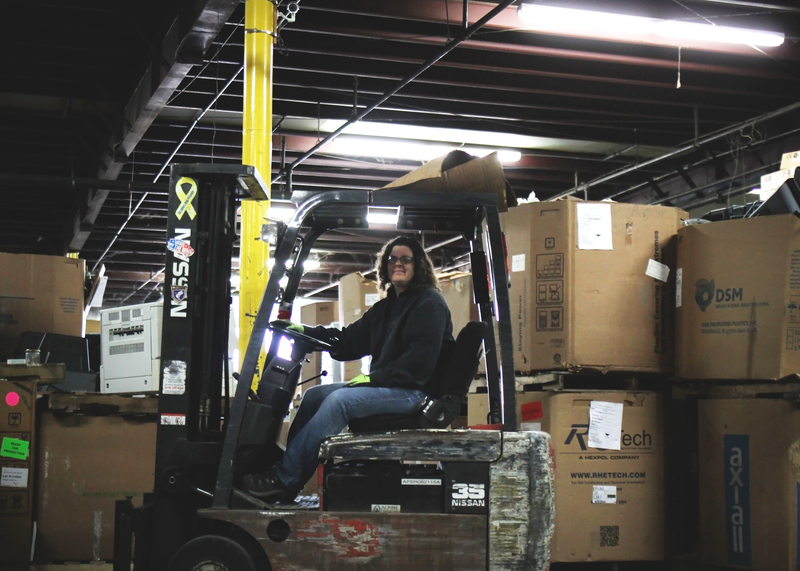 Today, Comprenew is the only nonprofit electronic recycler in the world, and the only recycler in Michigan, certified by both Responsible Recycling (R2) and e-Stewards. Our partners include Hope Network, Bethany Christian Services, AARP, and Michigan Works! Through our Service Learning program we offer volunteer opportunities for schools, churches, businesses and other organizations. Comprenew believes in supporting other nonprofits and does so by offering discounted computer equipment to organizations that provide assistance and training to at-risk populations. These community partners receive deep discounts on equipment for their computer labs, with Comprenew underwriting 60% of the cost. Beneficiaries include Bates Place, Baxter Community Center, Green Michigan, Inner City Christian Federation, Roosevelt Park Ministries, Tent Schools International and United Methodist Community House. 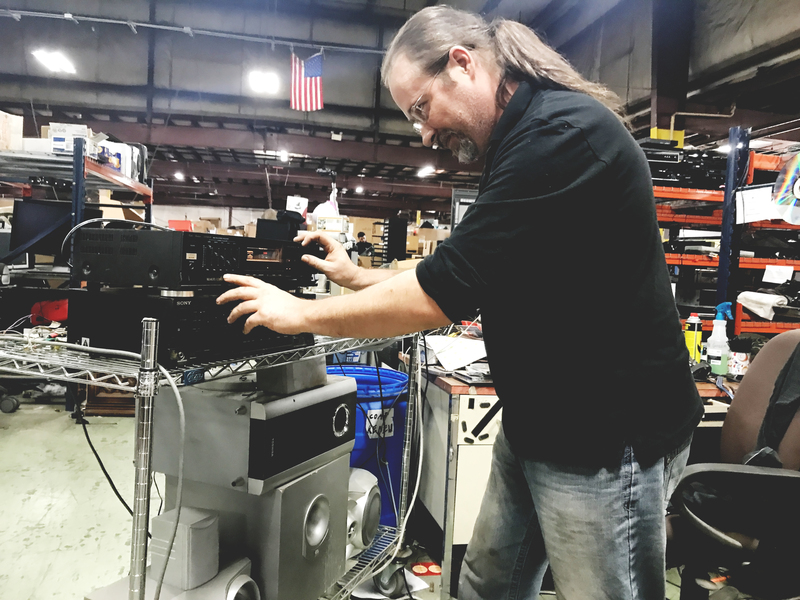 Comprenew also makes equipment donations to organizations that offer other services to low-income people such as the Early Learning Neighborhood Collaborative, Women’s Resource Center and Randy’s House in Greenville, MI.